This article popped up on my news feed and I thought I would share it with fellow campers. 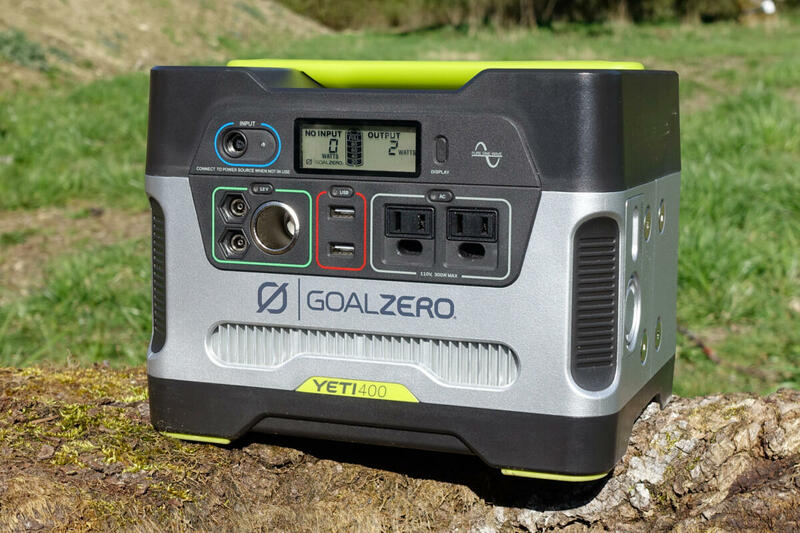 When your home office is in a motor home, keeping your Mac, iPad, and iPhone charged can be a hassle—until you try Goal Zero’s batteries. Cross Country Here We Come! We made a reservation at Trailer Village RV Park at the Grand Canyon in August and it’s almost time to leave for our cross country trip we start on May 11th. Since we made that reservation we have been planning our route and making reservations at various campgrounds. We had planned to come right home after staying at the Grand Canyon, but we will be continuing on to California so I can attend the Apple World Wide Developer Conference in June. It is our first cross country trip, so we a combination of excited and nervous, but one things is certain. We dreamed of buying an RV and seeing the country and that dream is coming true. This is the beginning of our long journey of seeing as many places as we can with our amazing motorhome. I will be posting each day of our journey with pictures and mini reviews of where we are staying each night, so stay tuned! 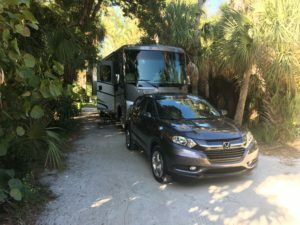 When Amber suggested a Honda HR-V as a tow vehicle, I started searching the web for information on whether it was possible to tow four-down behind a motorhome. I couldn’t find any definitive information on whether an automatic or manual transmission could be towed this way, but, from other make and model owners manuals I had read, towing a manual was pretty much a given. We found a manual at a dealership in Tampa and made arrangements to test drive and talk numbers. I was a bit rusty, but I was able to do a test drive and it was just like riding a bike again, you never forget. Once we hashed out numbers, we asked them to provide us definitive documentation that the vehicle we were about to purchase could be towed four-down. After a bit of time, they provided us with a salesperson training brochure that mentioned being able to do it. They also said that in the HR-V owners CD, it has a section on what needs to be done to accomplish this. 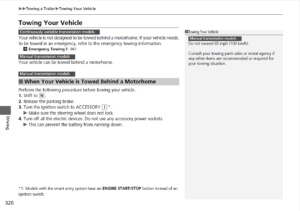 Since I could not find any definitive documentation on the web, I figured I would provide the actual page from the owners CD that outlines how to tow a 2016 Honda HR-V with a manual transmission four-down. September of last year we spent 4 days in St. Augustine, FL. We used Uber and the Old Town Trolley to get from the campground to where we wanted to go. Uber was great since we could go directly from the campground to a destination. The Old Town Trolley was great because they had a shuttle to pick us up and bring us to the main trolley stop. However, even though we could get on the trolley nearly anywhere, there are times we had to ride the trolley for long periods of time to get back to the main trolley station. We began to see the value of towing a vehicle. Like I mentioned in my last post, we were not able to tow our 2016 Honda CR-V unless we put it on a trailer, which would exceed the 5,000 lb. towing capacity our our gas coach. If we wanted to bring a vehicle with us, we’d have to buy a vehicle that could be towed. But where to start? Do a search for ‘towable vehicle guide’ and you will find lots of articles that will mention some of the makes and models of cars that can be towed four down. This is where I started and after many hours looking, giving up, and looking some more, found some discrepancies in what these guides stated and the actual owner manuals of the vehicles. That’s why I strongly suggest you check the owner manual of any vehicle you are interested in towing. The great part is that I found them online at the manufacturer’s web sites in PDF format. I continued to look at information and went to look at a few vehicles. 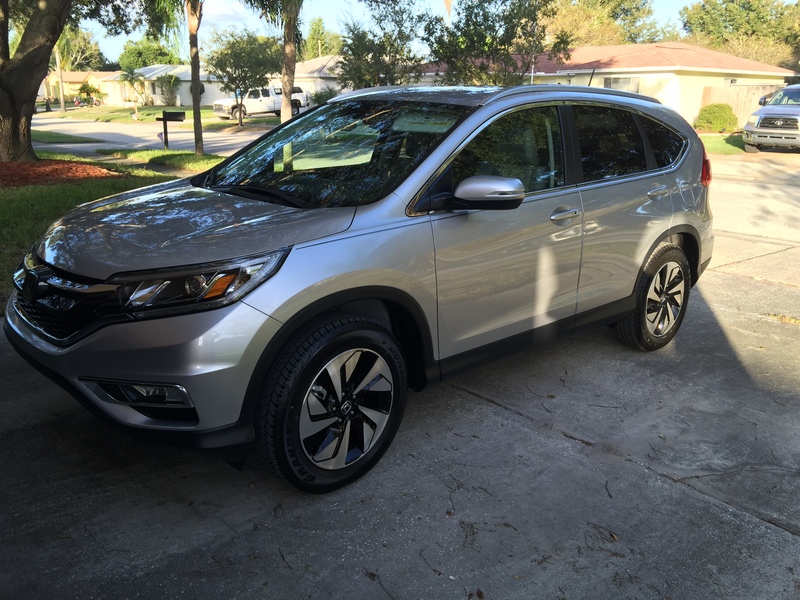 Nothing was going to replace our 2016 Honda CR-V, it seemed. Then Amber found a manual transmission 2016 Honda HR-V that would be a great tow vehicle and we wouldn’t have to give up too much. We wanted documentation that the vehicle could be towed, to be certain we wouldn’t be buying something that we found out later could not be towed four down. After much looking, the salesperson dug up the owner CD and on that was the guide to towing the HR-V. Mission accomplished! Now came the fun part. Amber had never driven a manual transmission before and I had 2 days to teach her before she needed to solo with our new vehicle. With much practice, she not only can drive a 36 1/2 ft. RV, but she can drive a manual transmission car also. It’s never too late to improve yourself by learning new things. Fear holds us back. When we don’t let it, our lives are changed forever. When we first thought about buying a RV, our original thought was to buy a fifth wheel because we would always have a vehicle with us to drive to the places we needed and leave the RV behind. As I started thinking more about a fifth wheel, the less appealing it became. We didn’t have a truck for towing, so we’d have to buy one in addition to the RV itself. That would have put the cost in the class A price range, so I started comparing pros and cons. To cut a long stay short, the biggest con I saw was that we’d be in a confined space for long periods of time with no access to the refrigerator or bathrooms while moving down the road. Also, since I would be working at least part of the time while Amber drove, I would have to work in a truck, which was not even close to ideal. A booth dinette would be great for working in a class A. As you probably know, we went with a class A RV and believe it was the best decision for us. Once made our choice of RV, we started thinking about how we’d get around once we got to our destination. Our vehicle at the time was a 2016 Honda CR-V Touring, which could not be towed flat or on a dolly because of its CVT transmission. So we decided that we could get around with ride sharing services, cabs, or renting a car while on the road. Since then we have rethought our decision to not tow a vehicle. More on this later.